FCC regulations require Class B AIS units to be programmed with MMSI and vessel information before shipping to US addresses. Milltech Marine provides this service free of charge. To make it more convenient for you to provide vessel information, we have prepared this quick and easy online form. Please complete and submit at time of order. We are required to have proof of valid MMSI, so please also send a copy of the issuing document. If you do not have a copy of your MMSI assignment, contact the issuing authority or organization. To search the FCC licensing database, click here. For BoatUS information, click here. 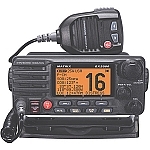 Go here if you do not have an FCC Ships Station License and MMSI and wish to obtain one. 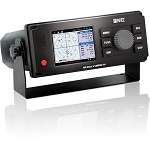 The CAMINO-108W is AMEC's second generation Class B AIS wireless transponder allowing you to broadcast your data to other AIS-equipped vessels and receive their data by viewing on a dedicated chart plotter or PC - the essential way to improve collision avoidance on the water. This model also supports output to devices such as iPads via Wi-Fi. This new release adds a number of features for customers wanting to use the Wi-Fi functionality. You can now connect and stream data to as many as ten wireless devices from the CAMINO-108W. 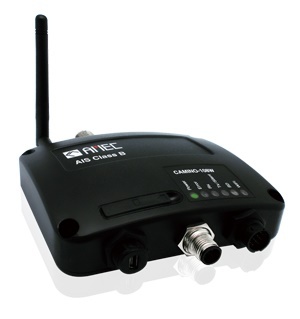 The CAMINO-108W can be configured to be in Access Point mode or Client mode. In Access Point mode, devices connect to the SSID network broadcast by the CAMINO-108W. In Client mode, the CAMINO-108W can join an existing Wi-Fi network on your boat. When in Access Point mode, the unit can be configured with your own IP address, port number, SSID and network password. CAMINO-108W is designed to deliver a high-performance AIS transponder solution. The optimized receive and transmit capability is now brought into a compact and robust housing which is less than half the size of its previous generation. The dual-channel receivers enable AIS vessel monitoring of all AIS signals including Class A, Class B, AtoN, SART. Its NMEA2000, NMEA0183 and waterproof USB* port ensure simple integration with chart plotters and PCs. The built-in SD card slot makes data logging of AIS data easier than ever. The CAMINO-108W requires a GPS antenna to function. 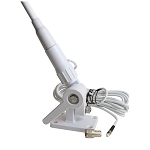 Please select one of our optional GPS antennas when you purchase the product. Founded in 2006, Alltek Marine Electronics Corp., also known as AMEC, is a ISO9001:2000 certified company that designs and manufactures marine electronic equipment. More than half of the company's engineering talent has over 10 years of hands-on experience, including extensive experience with military projects. AMEC products are known for excellent build-quality, reliability, performance and value. Milltech Marine is the US distributor for AMEC marine products. AMEC Camino 108W seems like a good value at Milltech Marine. It worked as advertised with no problems. Some points to note: The CD that came in the box had an outdated installation program and with that I could not establish connection to the PC (tried Windows 10 and XP). You must go to the AMEC website to download the latest installation software. Initial configuration must be done with USB connection. After that you can use the Viewer program with wireless connection. A very nice feature is that you can switch the transponder transmissions off and on (Silent Mode) using your smartphone application. The PC Viewer program could use some improvements - the most annoying behavior is that the Chartview window is always centered on your vessel's position - you cannot move your chartview off center as long as the 108W is getting a GPS signal. PC viewer also lacks a switch for Silent Mode. In Chartview, various symbols are shown to distinguish target types. Normally vessels are shown in green color and you can set limits on CPA to show closer ones in red. But there is no capability to sort the List View by any parameter such as CPA, TCPA, vessel type, for instance. Chart View shows a short vector on each target indicating it's course, but it would be much improved by making this vector's length correspond to the target's estimated position at a user-selectable future time interval. Before purchasing, you should carefully read the information in the user manual concerning wired data (NMEA2000 and NMEA0183). NMEA2000 capability is said to be only for output of it's internal GPS position and all other AIS data, and data multiplexed from other NMEA0183 sources, is output on NMEA0183 only. Q: with the 108W is the Wi-Fi built in and will it transmit through IPad at sea when we have no Wi-Fi access? A: Yes, the CAMINO-108W will create its own "hotspot" that you connect to with your mobile devices. This is independent of any connection to the internet and will work everywhere. A: The CAMINO-108W has two NMEA 0183 input ports which can be set up independently and the CAMINO will multiplex any standard NMEA data found on these ports with the AIS and GPS data and output the combined datastream via the WiFi and USB interfaces. So if your depth and wind data is NMEA 0183 data then the answer is yes. 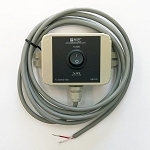 The NMEA 2000 interface only multiplexes inbound heading PGNs at this time. If your depth and wind data is NMEA 2000 data then the answer is no. Q: Can the WiFi on this transponder be used to communicate the received AIS data to the navigation display on a PC or tablet? 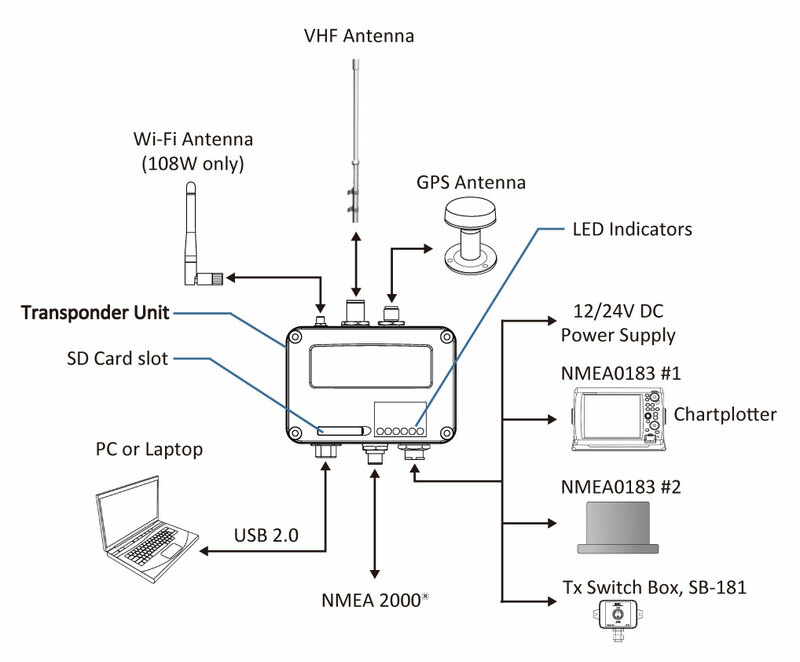 A: Yes, the CAMINO-108W will send AIS and GPS data wirelessly to a PC or a tablet such as an iPad. You'll need to make sure the application you are using supports using network marine data. 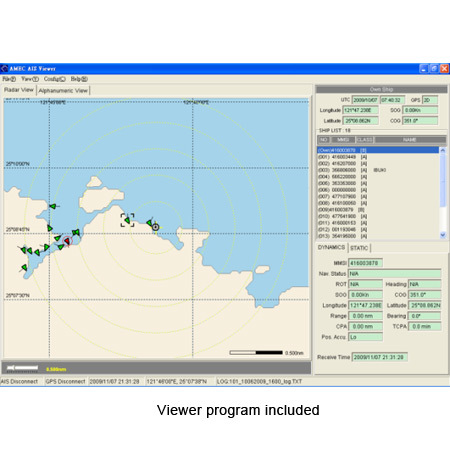 For example, Coastal Explorer works fine on a Windows PC and iNavX, iSailor, SeaIQ and other iOS apps work fine as well as OpenCPN on Android, PC and Mac. Q: Can this unit provide the gps data needed for a wifi only ipad to run inavx ? I understand that this will provide the AIS data. A: Yes, the CAMINO-108W will send both AIS and GPS sentences and both will be used by iNavX. Q: Will the 108W work with a Garmin 7612 chartplotter? A: Yes, the CAMINO-108W will work fine with all modern Garmin chartplotters. You can use with the NMEA 2000 interface if you have an existing NMEA 2000 network or use the NMEA 0183 interface for older chartplotters or installs where you don't want to use NMEA 2000. Q: I understand that the 108 wired model has been shown to work with opencpn on an android tablet, I just saw this wifi model. Will this also work with my Android/openCPN combo? Do I need a separate splitter? A: Yes, the WiFi model also works fine with Android + OpenCPN. Having issues getting the USB Driver installed on Windows? Check out our video here.